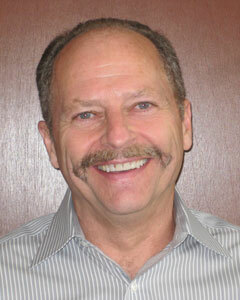 Rick received his Bachelor of Science Degree in business administration from San Diego State University. He became a Certified Public Accountant in 1987 and founded his firm in January 1990. He became a Certified QuickBooks® ProAdvisor with Intuit in 1997 and has kept his certification current, while adding point of sale, enterprise solutions and advanced certifications. Rick has 14 years audit experience in the governmental, private industry and public accounting sectors included in his 30 years of accounting experience. He utilizes this experience to help business owners streamline and automate their accounting systems, allowing them more time to manage their business rather than work in their business. Rick worked as an internal auditor with Alaska Airlines, developing audit programs for previously unaudited departments and recommending procedural changes to insure adequate internal controls. Previous to the internal audit position, Rick worked in the tax department where he explored and helped implement automated procedures to eliminate many manual processes. Rick provided training for accounting staff related to tax for the various states Alaska Airlines and Horizon Air services. Rick managed a branch office for Hawthorne & Company, CPA PS. He prepared financial statements for various business clients in addition to individual, partnership and corporate tax returns. He analyzed client’s accounting systems and recommended procedures to insure accuracy on financial statements and proper internal controls. He also performed audits on nonprofit entities. As an auditor for the Washington Department of Revenue, Rick conducted audits of various businesses to confirm proper payment of business and occupation, sales and use taxes. He analyzed many accounting systems at these businesses to insure that taxes were reported correctly. He worked closely with business owners to review any issues revealed in the audit and developed a very good rapport with them. Business owners expressed the fact that he used a fair and balanced approach in his audit process. Certified in QuickBooks 2005, 2006, 2007 and 2008. Certified in QuickBooks Point of Sale Version 4, 5 and 6. Completed the QuickBooks Advanced Certification course. Certified QuickBooks® ProAdvisor 2004, 2005, 2006, 2007, 2008, 2009. Janel joined Roland & Company in 2001 and is considered a “critical life-line” for many of our clients..
Janel earned her Associates in Business degree from Green River Community College. She is an Advanced Certified QuickBooks ProAdvisor. 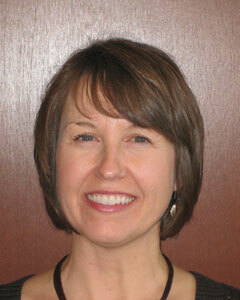 Janel brings to her position several years of accounting and bookkeeping experience in Public Accounting. She works with closely held businesses on bookkeeping, payroll and accounting issues, consults on QuickBooks software issues and prepares business tax reports. She is experienced in preparation of Individual and Corporate Federal Income Tax Returns. 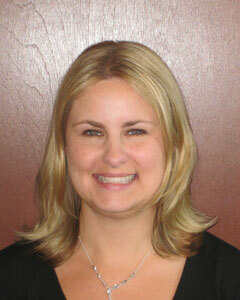 Ilona joined Roland & Company CPA PS in March 2008 as an accountant. Ilona brings to her position over 26 years of bookkeeping and accounting experience having worked in professional service and retail/restaurant businesses. Her experience is based in both corporate and sole proprietor settings. Ilona is knowledgeable in various aspects of accounting and bookkeeping including payroll preparation, monthly/quarterly/annual payroll tax reporting, Combined Excise Tax reporting, financial and budget reports, Human Resources, as well as other accounting functions. Since joining Roland & Company CPA PS, Ilona has become an Advanced Certified QuickBooks ProAdvisor and is certified in QuickBooks Pro/Premier, QuickBooks Point of Sale, and QuickBooks Enterprise Solutions. Ilona prepares Individual and Corporate Federal Tax Returns for sole proprietors, limited liability companies, Subchapter S corporations and C corporations.